1 Ashtown Food Research Centre (AFRC) (Teagasc), Dublin 15, Ireland. 2 Department of Food Science, School of Agriculture, Food Science & Veterinary Medicine, College of Life Sciences, University College Dublin, Dublin 4, Ireland. The positive benefits to health resulting from an increased consumption of fish have been effectively demonstrated over the last two decades (Kris-Etherton et al., 2002). In particular, their potential for the prevention or alleviation of the symptoms of coronary heart disease (CHD) has been the subject of extensive research (Burr, 1991; Herold & Kinsella, 1986; Kinsella et al., 1990). Kinsella (1986) concluded that consumption of fish oils containing omega(ω)-3 long chain polyunsaturated fatty acids (LC-PUFA) may have beneficial effects for ischaemic heart disease and thrombosis. Epidemiological evidence has reinforced this hypothesis (Kris-Etherton et al., 2002). The intake of LC ω-3 PUFA, specifically those present in relative abundance in fish and the flesh of marine mammals, i.e. eicosapentaenoic acid, C20:5ω-3 (EPA) and docosahexanenoic acid, C22:6ω-3 (DHA), by the indigenous Inuit population of Greenland has been linked with their low incidence of CHD (Dewailly et al., 2001; Dyerberg & Bang, 1979; Dyerberg et al., 1978, 1975). The LC ω-3 PUFA from fish oils (EPA and DHA) can induce and are associated with certain desirable changes in blood plasma lipids. These include lower levels of cholesterol, triacylglycerols, low density lipoprotein (LDL), and very low density lipoprotein (VLDL) as well as higher levels of the beneficial high density lipoproteins (HDL) (Dewailly et al., 2001; Herold & Kinsella, 1986). These PUFA should be distinguished from the plant oil ω-3 PUFA such as α-linolenic acid which is found in soya, rapeseed and linseed oils since, in the context of CHD prevention, these fatty acids are not necessarily equivalent in potency or efficacy to the marine oil PUFA (Holub et al., 2002). Kinsella (1986) stated that when fish oil is used to substitute rather than supplement conventional dietary fat, especially saturated fatty acids, more favourable results for health ensue. The effect of ω-3 PUFA is most noticeable on low fat diets, such as that of the Japanese, who consume around 0.20 rather than 0.40 of their calories from fat, and also in diets low in ω-6 unsaturated fats, such as those of the Greenland Inuit. The ω-3 PUFA are thought to exert their beneficial effect at a biochemical level by having an influence on the metabolism of the ω-6 series of PUFA which include arachidonic acid, (C20:4) and it’s essential dietary precursor, linoleic acid (C18:2). Both are precursors of a wide range of related compounds, the eicosanoids, some of which have desirable and others undesirable ef-fects, partly mediated by either their anti- or pro-aggregatory tendencies; the beneficial effects of ω-3 PUFA on CHD are mediated by both eico-sanoid-dependent and eicosanoid-independent processes as outlined by Holub (2002). 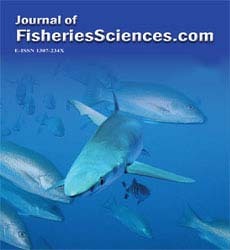 While the benefits to health of an increased consumption of fish or fish oil in the diet are widely recognised (Burr, 1991; Vanschoonbeek et al., 2003), traditional Northeast Atlantic fish stocks such as cod (Gadus morhua) and blue whiting (Micromesistius poutassou) have at the same time been depleted (Anon, 2005). In an at-tempt to conserve stocks and ensure a sustainable supply of fish in order to protect the fishing in-dustry and the land-based processing sector quo-tas have been imposed. Although concerns persist about their commercial viability and even sustai-nability (Clark, 2001) attention has begun to fo-cus on several deep-sea fish and shark species. These species have, in the past, been under-uti-lised in comparison with traditional whitefish species such as cod, haddock (Melanogrammus aeglefinus), whiting (Merlangius merlangus), plaice (Pleuronectes platessa) and sole (Micro-stomus kitt). Gregory (1995) assessed the potential useful-ness of this under-utilised resource. Maier et al. (1997) assessed 9 deep-water fish species which were processed to breaded nuggets and found that all species compared favourably with cod nug-gets. Previously, Sawyer et al. (1981) had com-pared flavour and texture characteristics of se-lected under-utilised species of North Atlantic fish and certain other commercially important species, and had obtained considerable variations in intensity of profile attributes within most of the species. A report (Anon, 1974) based on pre-liminary studies on several of these under-utilised species, concluded that they would be unlikely to be commercially acceptable as whole fish or fil-lets, but several would probably be acceptable as fish fingers or smoked products. Sensory evaluation studies have also been car-ried out to assess the acceptability of the current species as judged against cod. Cooked fillets were scored for acceptability and four species were preferred to cod (orange roughy, black scabbard, morid cod and Portuguese dogfish); when prepared as nuggets from minced fish ten species were preferred to cod (Brennan & Gormley, 1998). Measurement of the ω-3 PUFA (EPA and DHA) content of these fish (as well as a wider fatty acid profile) was required in order to assess the contribution that consumption of these fish could make to intakes of marine ω-3 PUFA. This would enable an assessment of any potential health benefits to the Irish population, which has an unenviably high level of CHD, to be made. Samples (22 species; Table 1) of non-quota deep-sea fish and shark species which had been caught on the eastern slopes of the Rockall Trough in the North East Atlantic (Clarke, Connolly & Kelly, 1999) were provided by the Marine Institute, Fisheries Research Centre, Galway, Ireland (formerly Abbottstown, Dublin 15). These samples, of various sizes (50-300g) were supplied frozen and were stored at -20°C in sealed polythene bags. 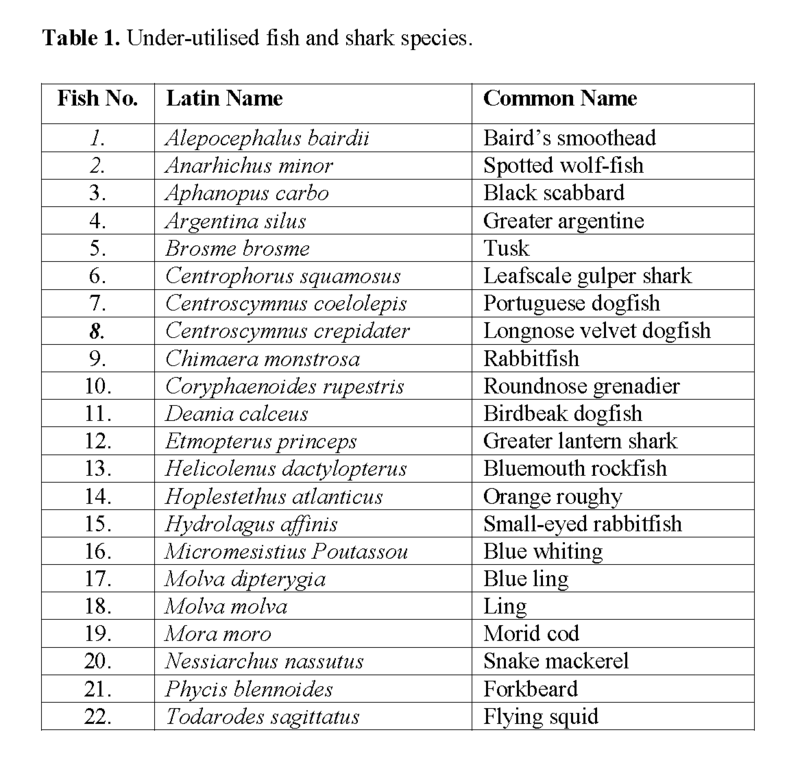 Table 1: Under-utilised fish and shark species. Samples were removed from the freezer and approximately 20g was recovered for analysis. After thawing, skin and bones were removed and the fish was macerated as finely as possible using a sharp knife. Triplicate samples (2g) were accurately weighed into 12cm long pyrex boiling tubes containing Quickfit® (Lennox Laboratory Sup-plies, Ltd., Dublin, Ireland) SQ24 screw cap out-lets. Approximately 2g of anhydrous Na2SO4 was added as a drying agent to immobilise the water in the samples. A glass rod was used to facilitate thorough mixing of this salt with the sample. Ethanol (2ml) was pipetted into the boiling tube and the contents were heated in a water bath set at 80-85°C for 0.5 – 1 min. After removal from the water bath and cooling, 10ml of heptane was added. The tube was vortexed for approximately 30s, fitted with an air condenser, 0.6m in length, and then replaced in the water bath at 85°C and heated for 20 min. After 10 min. the arrangement was removed from the water bath and again vor-texed for 30s; the process was again repeated at the end of the 20 min. heating period when the condensers were removed and the boiling tubes were left to cool. Distilled water (10ml) was then added, the tubes capped and their weights checked and adjusted by adding more water, if necessary. They were shaken vigorously for 30s and finally centrifuged for 10min. at 3000 rpm (DuPont Instruments Sorvall®-GLC-2B, General Laboratory Centrifuge, Sorvall, Newton, CT, USA). IR spectrophotometric analysis was then carried out on the clear heptane upper layer ob-tained after centrifugation. From each of the triplicated heptane extracts, 7 ml was accurately pipetted into a weighed evaporating basin, containing a few glass beads, and the solvent removed from the combined ex-tracts by evaporation on a boiling water bath in a fume cupboard. After cooling in a dessicator, the basin was weighed and the weight of the lipid residue recorded. The reference method for fat extraction used was that recommended by Hubbard et al. (1977). The finely chopped fish (10g) was weighed accu-rately into a mortar. Some grinding sand was added, followed by 30ml of dichloro-methane/methanol (2:1). The sample was ground vigorously for 2-3 min. and the extract was fil-tered (Whatman No. 541 filter paper) into a 250ml separating funnel. The residue was re-turned to the mortar and ground with a further 25-30 ml of solvent followed by filtration. After repeating the process once more, the resulting combined solvent extracts in the separating fun-nel were washed with 2 × 15 ml aliquots of wa-ter. Following inversion, venting and settlement the lower solvent layer was filtered through Na2SO4 into a weighed round-bottomed flask. The remaining aqueous layer was washed twice with 10 ml aliquots of dichloromethane. When settled, this lower dichloromethane layer was also added to the round-bottomed flask. The solvent was removed by distillation and the lipid residue was oven-dried at 100°C for 30 min. and weighed. IR analysis of the heptane lipid extracts was carried out on a Research Series Mattson FTIR spectrophotometer equipped with software for quantitative measurements (Mattson Instruments, 5225 Verond Rd., Madison, WI 53711-4495, USA). A resolution of 4 cm–1 was used and 16 scans were recorded per sample. Spectra were measured using a liquid cell fitted with sodium chloride windows (pathlength 0.3 mm). Sample spectra were ratioed against 0.2% w/v solutions in heptane of either cod flesh oil (CFO) or cod liver oil (CLO) and the band area of the carbonyl group stretching region between 1700cm-1 and 1800cm-1 was measured and the lipid content cal-culated from a calibration graph prepared using the appropriate fish oil. 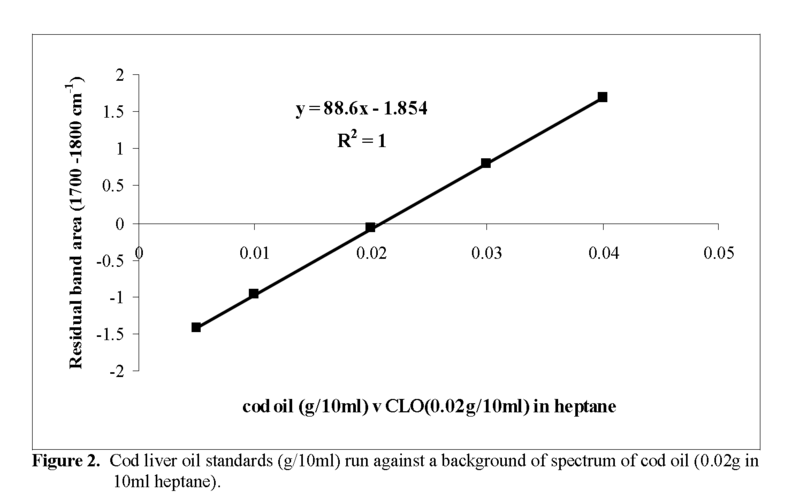 Figure 1: Cod flesh oil standards (g/10ml heptane) run against a background spectrum of cod oil (0.02g in 10ml heptane). Figure 2: Cod liver oil standards (g/10ml) run against a background of spectrum of cod oil (0.02g in 10ml heptane). The lipid residue (20-30 mg in most cases) re-sulting from the evaporation of the heptane was dissolved in 3-5 ml of diethyl ether, transferred to a 25 ml volumetric flask and evaporated to dry-ness on a water bath. Methanolic NaOH (3ml; 0.5M) was then added and the sample saponified by heating on a water bath for 3 min. After cool-ing, 3ml of boron trifluoride (BF3)/methanol re-agent was added and the mixture heated for a further 3 to 4 min. to complete the methylation. After removal and cooling 2ml of hexane was added to the flask. Saturated NaCl was added, in order to bring the hexane (containing the FAME) into the neck of the flask, where it was drawn off using a Pasteur pipette, transferred to a vile and stored in the refrigerator until analysis. Analysis of the fish oil FAME was carried out on an ATI Unicam 610 Series Gas Chromatograph (ATI Unicam, Cambridge, UK) linked to a Spectra-Physics SP4290 computing integrator (Spectra-Physics, Inc., Newport Corp., 1791 Deere Ave., IrvinE, CA 92606, USA). The column (30m × 0.53mm i.d.) was of fused silica coated with Carbowax 20M (film thickness 0.5μm). For analysis, 0.3μl of hexane was drawn into a 1μl hypodermic microsyringe followed by 0.1-0.2μl of the sample and injected onto the column. The detector was a flame ionisation detector. The carrier gas was H2 at a flow rate of 4ml/minute and the temperature programme employed increased oven temperature from 150 to 220°C at 5°C/minute from injection. Peak identities were assigned by measuring their retention relative to methyl palmitate (C16:0 methyl ester) and comparing the relative retention times (RRT) with those of authentic standards (Table 2). Quantitation of individual fatty acids was obtained by normalisation of peak areas without the use of response factors. While the rapid IR method had already been validated for confectionery products, this was the first application to the measurement of lipid in low-fat, high moisture products. Thus, the scope of the study allowed us to evaluate its feasibility and performance against a number of more con-ventional methods of lipid determination such as Soxhlet extraction and dichloromethane/methanol extraction. Accurate determination of the total lipid content of the fish examined was important as it was needed to evaluate the different species as sources of dietary ω-3 fatty acids. It was in-itially intended to use a standard extraction pro-cedure for gravimetric determination of total li-pids. Since the majority of fish species examined were expected to be of the low fat (< 1g/100g) type, some preliminary experiments were carried out using cod, which has a lipid content of 0.6-0.7g/100g (Paul & Southgate, 1992). Oven dry-ing of cod samples at 100°C overnight followed by Soxhlet extraction with diethyl ether gave an exceptionally poor recovery of lipids (0.1g/100g), since the drying appeared to have resulted in oxidative polymerisation of the highly unsatu-rated lipids. Extraction of samples which had been freeze-dried for 48h gave somewhat better (0.3g/100g) but still low recoveries. The flesh of some of the fish species examined had a tough, grisly texture and was rather difficult to cut up and obtain representative samples. For this rea-son, triplicate 2g samples were analysed for most of the fish and reproducibility was generally quite satisfactory (standard deviations ranged from 0 to 1). Application of the well established dichloro-methane/methanol (2:1) procedure to raw cod and to 4 other species (rabbitfish, orange roughy, snake mackerel and flying squid) gave better re-coveries but was also fraught with difficulties. The main problem, particularly bad in the case of Baird’s smoothead, was the formation of emul-sions as soon as water was added to make the system biphasic. A clean separation of layers and production of a clear dichloromethane layer took place very slowly (16h) and replicated analyses were very poor (± 30g/100g). It was for this rea-son that a new procedure using heptane/ethanol extraction and IR analysis of the extracted lipid was evaluated. This procedure had recently proved highly successful for the analysis of total fat in difficult matrices such as biscuits and con-fectionery (O’Neill, 1998). There were two problems associated with the application of this technique to fish. Firstly, the high moisture (ap-proximately 80 %) content of the fish, which would impair contact of solvent and sample dur-ing extraction and secondly, the selection of a suitable reference for IR analysis. The first problem was successfully overcome by mixing the sample with sufficient anhydrous sodium sulphate to absorb most of the water prior to extraction. For calibration purposes it was decided that two different types of lipids would be required, one for low lipid (< 1g/100g) fish, the lipid fraction of which is mainly composed of structural membrane lipids with very little triacylglycerols present and the other for oily fish which are rich in triacylglycerols. CLO was used for the fatty fish. It has an absorbance maximum at 1751cm-1 representing triacylglycerol carbonylester stretching (Freeman, 1968). A 0.2% w/v solution run against heptane as background gave a triacylglycerol band area of 1.85. By contrast, cod flesh lipid extract has an absorbance maximum at approximately 1743cm-1 caused by the phospholipids which predominate and because these phospholipids only have two fatty acid chains per molecule as compared with three for triacylglycerols. The area of the ester stretching band in a 0.2% w/v solution of CFO is thus only 1.00. Application of this lipid measurement technique to a number of cod samples gave results which were quite close to published values, implying that efficient extraction of the lipid was occurring. The results obtained for the lipid analysis of the 22 fish species are presented in Table 3. There was quite a reasonable agreement between lipid contents calculated by IR analysis and those obtained gravimetrically by evaporation of the heptane extracts (where sufficient lipid could be extracted; see Table 3). Of the 22 species, 18 had lipid contents less than 1.1g/100g (range 0.18 to 1.08 g/100g; mean 0.54g/100g) and CFO appeared to be a suitable reference fat for measurement of these by IR analysis. However, of the ‘oily’ fish (n=4) only two, Alepocephalus Bairdii (Baird’s smoothead) and Anarhichus minor (spotted wolf-fish) had genuine triacylglycerols as the major lipid component and were measured most accurately using the CLO calibration. The other ‘oily’ fish, Hoplestethus atlanticus (orange roughy) and Nessiarchus nassutus (snake mackerel) gave much lower lipid results when measured by IR against CLO compared to the figure obtained by weighing the evaporated heptane extract. However, using CFO the agreement was much better. Moreover, 0.2% (w/v) solutions of the oil extracted from both of these fish gave band areas of close to 1.00 and exhibited absorbance maxima at 1743cm-1. 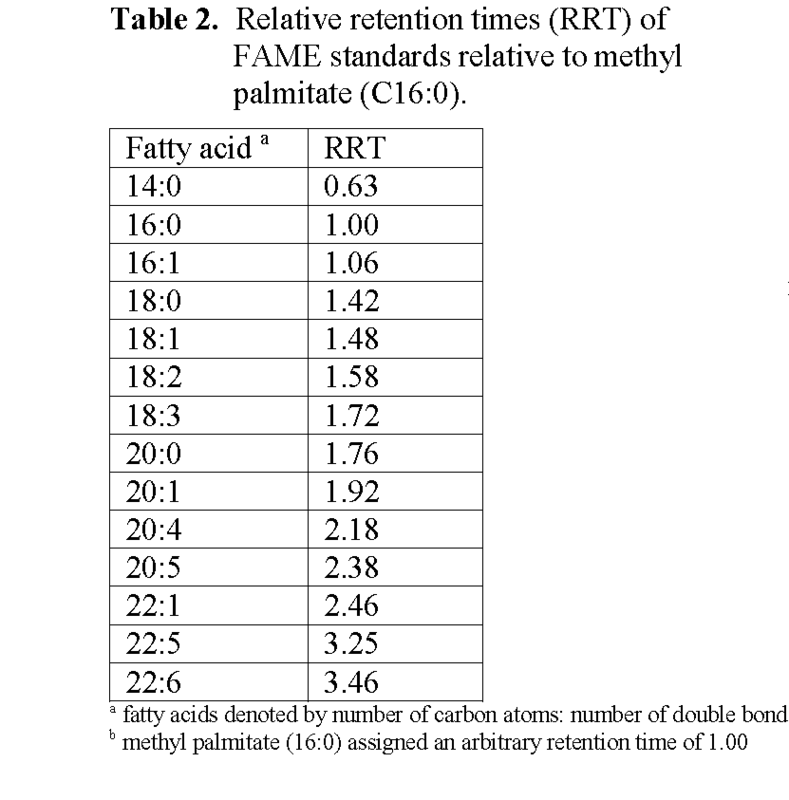 Table 2: Relative retention times (RRT) of FAME standards relative to methyl palmitate (C16:0). 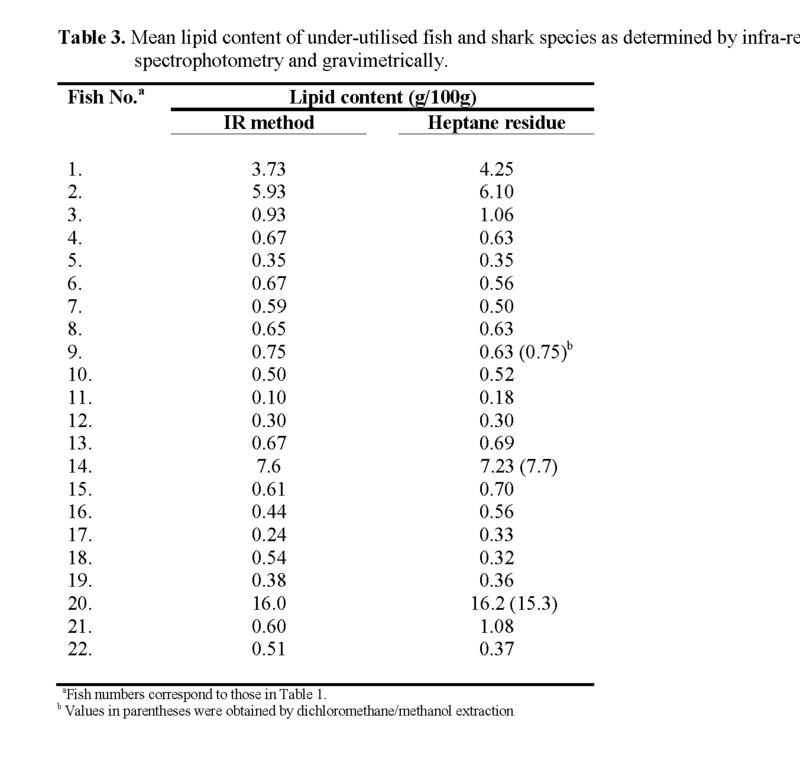 Table 3: Mean lipid content of under-utilised fish and shark species as determined by infra-red spectrophotometry and gravimetrically. While we have been unable to find very much information on the lipid composition of most of the fish species examined in the study, Hayashi & Takagi (1980) have reported that wax esters make up 88% of the lipids of orange roughy. These compounds, which are esters of long chain aliphatic alcohols and long chain acids, would be expected to absorb between methyl esters of long chain fatty acids (1730cm-1) and triacylglycerols (1751cm-1). Wax esters, which are not digestible by humans, would also appear to constitute most of the lipid fraction of snake mackerel. With a lipid content of 16.2g/100g, this would hardly be a palatable fish. Sparks & deWit (1980) reported that fish with a high wax ester content were not permitted for sale in Japan. Although the IR spectra of the carbonyl stretching region have different maxima for dif-ferent lipid classes such as triacylglycerols, phos-pholipids, cholesteryl esters and wax esters they appear as an essentially unresolved band (Free-man, 1968). However, free fatty acids absorb at 1715cm-1 and are reasonably well resolved from the esterified lipids. The IR spectra of many of the fish extracts examined in this study did ex-hibit small free fatty acid absorption bands. It is felt that the free fatty acids may in fact have been produced by the release of lipases (Deng, 1978; Fletcher & Statham, 1988) or phospholipases (Gormley, 1990) during thawing of the frozen samples prior to analysis. Evidence for this came from observations in our laboratory that fresh un-frozen cod samples never gave free fatty acid ab-sorption while frozen cod that was thawed and held at 5°C in a fridge overnight frequently gave a large free fatty acid band at 1715cm-1 (unpublished observations). Although the EPA and DHA contents and fatty acid profiles of an extensive range of fish has been reported previously (Özogul et al., 2009; 2008; 2007; Ackman, 2000), many of the fish and shark species examined in the present study have not been examined. The EPA and DHA contents of the 22 fish species are reported in Table 4. The concentrations of total LC ω-3 PUFA (i.e. the sum of EPA and DHA, in this case) for each of the species are shown Figure 3. The fatty acid profiles of the individual fish, list-ing the principle fatty acids present, are given in Table 5. 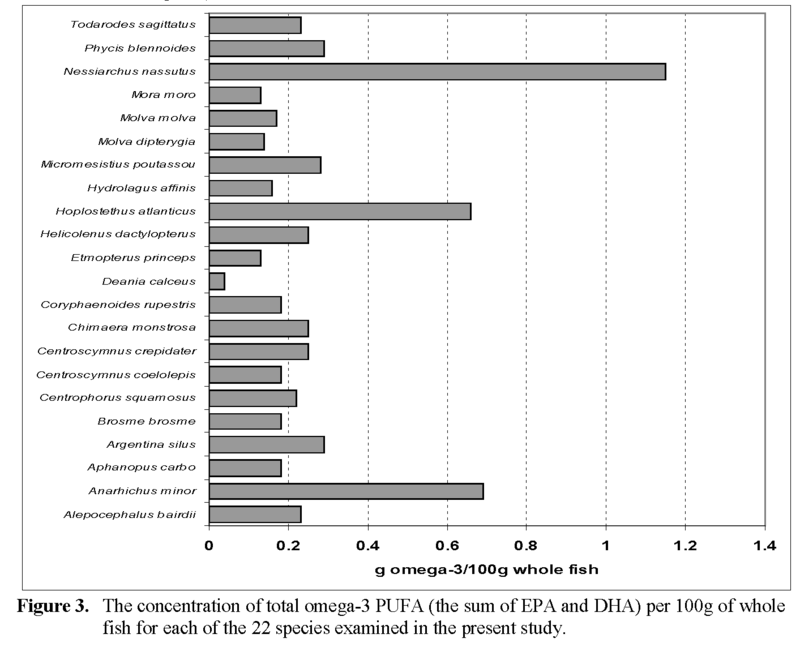 Figure 3: The concentration of total omega-3 PUFA (the sum of EPA and DHA) per 100g of whole fish for each of the 22 species examined in the present study. Table 4: Mean ω-3 polyunsaturated (PUFA) contents of the 22 under-utilised fish and shark species expressed on a lipid basis. 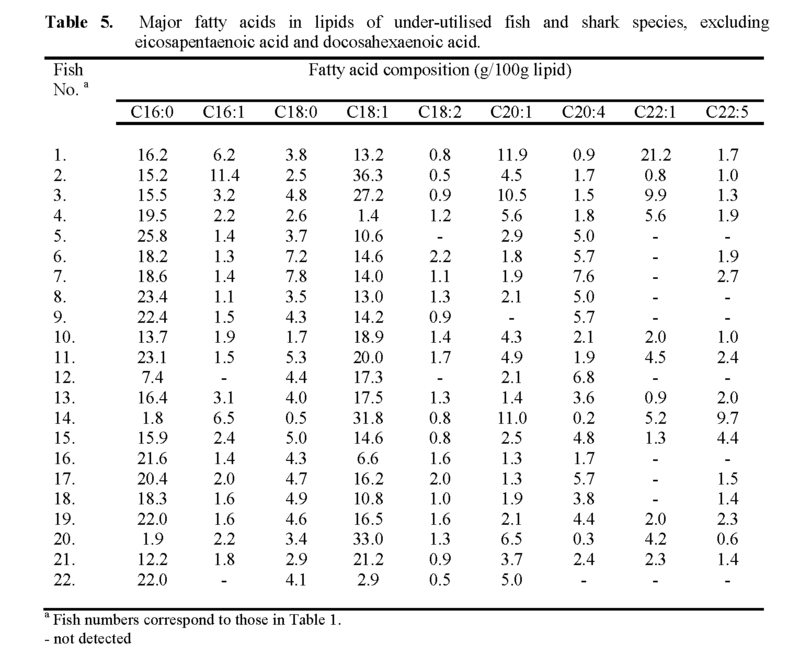 Table 5: Major fatty acids in lipids of under-utilised fish and shark species, excluding eicosapentaenoic acid and docosahexaenoic acid. Fatty or ‘oily’ fish, such as herring, mackerel and salmon are excellent sources of LC ω-3 PUFA with combined levels of EPA and DHA ranging from around 1 to in excess of 5g / 100g fish (Cronin & O’Sullivan, 1990). By contrast, the 18 low fat fish examined in the present study were quite modest sources with amounts ranging from as low as 0.04g/100g fish (birdbeak dog-fish) to 0.29g/100g fish (greater argentine, fork-beard) with a mean of 0.2g/100g fish. Cod, with a lipid content of around 0.6g/100g and total ω-3 PUFA of 47% would provide about 0.3g ω-3 PUFA /100g of, so the species examined are in general somewhat poorer sources than cod. Ac-cording to Soltan & Gibson (2008) low fat fish are limited sources of ω-3 PUFA; these authors reported that low fat fish had concentrations of ω-3 PUFA which were an order of magnitude lower than those of high fat fish such as Atlantic salmon and swordfish. The results of Soltan & Gibson (2008) with low fat fish corroborate the findings of the present study. Indeed, the analyti-cal challenges presented by many of the fish in the present study, in terms of their unsuitability to conventional gravimetric determination of total lipid necessitated the application of the rapid IR technique discussed. Of the two ‘oily’ species containing triacyl-glycerols, Alepocephalus Bairdii with a lipid content of 4.25g/100g but containing only 5.5 g ω-3 PUFA /100g provided a mere 0.23g/ 100g of the acids, while Anarhichus minor (6.1g li-pid/100g), containing 11.3g ω-3 PUFA/100g of lipid was also a rather poor source for an ‘oily’ fish, providing only 0.69g ω-3 PUFA /100g of fish. A similar amount was supplied by the wax ester-containing Hoplostethus atlanticus, while the highest amount (1.15g/100g) was given by the unacceptable Nessiarchus nassutus. It is of interest that in the quality evaluation study of Brennan & Gormley (1998), Hoplostethus atlan-ticus was one of the species preferred to cod by a taste panel when presented as fillets. However, the presence of high levels of wax esters in the flesh oil would suggest that its acceptability is questionable, at least on nutritional grounds. For most of the low fat species EPA and DHA were the dominant fatty acids present in the lipids, with most of the fish giving combined amounts in excess of 35% of total fatty acids. In most of the fish DHA was present at 3-6 times the level of EPA. The rapid method for lipid extraction de-scribed in this study was highly promising, in ei-ther the IR or gravimetric modes, for the meas-urement of total lipid in low fat fish species. As a source of dietary LC ω-3 PUFA the low fat fish were generally poor suppliers, but several species were similar to cod. Two of the high fat species contained mainly wax esters in their lipids and would not be desirable sources of LC ω-3 PUFA. The Marine Institute, Fisheries Research Centre, is thanked for providing the fish samples. Technical assistance provided by Rosemary Gormley is appreciated. Ackman, R.G., (2000). Fatty acids in fish and shellfish. In: Fatty acids in foods and their health implications. C.K. Chow (Ed. ), Sec-ond Edition, Marcel Dekker, Inc., New York, pp. 153-174. Anon, (2005). Review of the state of world ma-rine fishery resources. FAO Fisheries Tech-nical Paper 457. Food & Agriculture Or-ganisation of the United Nations, Rome. Anon, (1974). Deep water trawl fish tested for food market, Fishing News International, 13: 47-49. Brennan, M.H., Gormley, T.R., (1998). Quality evaluation of under-utilised fish species. Proceedings of the 28th Annual Food Sci-ence and Technology Research Conference, University College Cork, September. p75. Cronin, D.A., O’Sullivan, K., (1990). 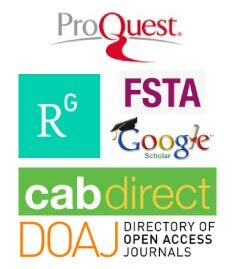 Processed fish products as sources of n-3 polyunsatu-rated fatty acids, Irish Journal of Food Sci-ence and Technology, 14: 17-24. Dewailly, E., Blanchet, C., Lemieux, S., Sauvé, L., Gingras, S., Ayotte, P., Holub, B.J., (2001). n-3 fatty acids and cardiovascular disease risk factors among the Inuit of Nu-navik, American Journal of Clinical Nutri-tion, 74: 464-473. Dyerberg, J., Bang, H.O., (1979). Haemostatic function and platelet polyunsaturated fatty acids in Eskimos, The Lancet, 314: 433-435. Dyerberg, J., Bang, H.O., Stoffersen, E., Mon-cada, S., Vane, J.R. (1978). Eicosapen-taenoic acid and prevention of thrombosis and atherosclerosis. The Lancet, 312: 117-119. Dyerberg, J., Bang, H.O., Hjorne, N. (1975). Fatty acid composition of the plasma lipids in Greenland Eskimos. American Journal of Clinical Nutrition, 28: 958-966. Freeman, N.K., (1968). Applications of infra-red absorption spectroscopy in the analysis of lipids, Journal of the American Oil Chemists Society, 45: 798-809. Gormley, T.R., (1990). Chilled Foods – The State of the Art. Elsevier Applied Science Pub-lishers, London. Gregory, H., (1995). Deepwater species offer re-source hope, Seafood International, 10: 30-31. Hayashi, K., Takagi, T., (1980). Occurrence of unusually high levels of wax esters in deep-sea teleost fish muscle, Hoplostethus atlanticus, Bulletin of the Japanese Society of Sci-entific Fisheries, 46: 459-463. Herold, P.M., Kinsella, J.E., (1986). Fish oil con-sumption and decreased risk of cardiovas-cular disease; a comparison of findings from animal and human feed trials. American Journal of Clinical Nutrition, 43: 566. Holub, B.J., (2002). Clinical nutrition: 4. Omega-3 fatty acids in cardiovascular care, Ameri-can Journal of Clinical Nutrition, 166: 608-615. Kinsella, J.E., Lokesh, B., Stone, R.A., (1990). Dietary n-3 polyunsaturated fatty acids and amelioration of cardiovascular disease: pos-sible mechanisms, American Journal of Clinical Nutrition, 52: 1-28. Kinsella, J.E., (1986). Food components with potential therapeutic benefits. The n-3 poly-unsaturated fatty acids of fish oils, Food Technology, 2: 89-97. Maier, K., Gormley, T.R., Connolly, P.L., Auty, M., (1997). Assessment of underutilised fish species, Farm & Food, 7: 30-34. O’Neill, J.P. (1998). Trans-fatty acids – occur-rence and measurement in foodstuffs and uptake in a selected Irish population group. PhD Dissertation , University College Dub-lin. Paul, A.A., Southgate, D.A.T., (1992). McCance and Widdowson’s The Composition of Foods. UK Ministry of Agriculture, Fisher-ies & Food, 2: 89-97. Sawyer, F.M., Prell, P., Candello, A.V., Maller, O. Kapsalis, J., (1981). A comparison of fla-vour and texture characteristics of selected underutilised species of North Atlantic fish and certain commercially important species, Refrigeration Science and Technology, 4: 505-512. Soltan, S.S.A.M., Gibson, R.A. (2008). Levels of omega-3 fatty acids in Australian seafood, Asia Pacific Journal of Clinical Nutrition, 17: 385-390. Spark, A.A., deWit, A.A. (1980). Wax esters in edible fish. Identification of fish. Annual Report of the Fishing Industry Institute, 34: 45. Vanschoonbeek, K., deMatt, M.P.M., Heems-kerk, J.W.M., (2003). Fish oil consumption and reduction of arterial disease, Journal of Nutrition, 133: 657-660.